It helps to know that this process of emotional separation from parents is normal and necessary. The teenagers are trying to discover who they are and what their value system is. They are testing and challenging their parents’ world. Parents also need to learn to manage their own fears about their teenagers. 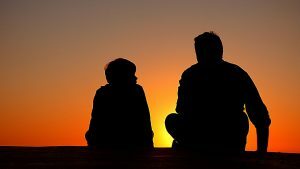 Teenagers don’t read their parents’ reactions as coming from fear or from love, but rather that they are over-restrictive, that they don’t listen to how they feel, that they are not trusted, in fact that the teenager has no voice at home. 1. Parents should come from a united front – having sorted out in private any conflict they may have between them. 2. Try to remain constant and avoid giving a mixed message – body language, tone of voice and content should all be conveying the same message. 3. Parents don’t need to give an answer immediately – they can say “I’d like to think about this”. This gives time to do just that or chat it over with someone whose opinion you trust. But be sure to come back to the teen within a relatively short time and don’t leave the question unanswered, hoping it will go away. 4. Listen to the teenager’s opinion and views. You don’t have to agree with them, but they should be given consideration and respect. This makes the teenager feel worthwhile. 5. Use the same words and stance that you’d use with a friend or colleague you respect. I believe that we sometimes talk to members of our close family in a way we wouldn’t talk to anyone else! Be careful not to put your teenager down. 6. We like to use the word acute to describe teenagers – acutely sad, happy, bored, bold, insecure. It’s important to remember how strongly they feel about issues we might brush off. 7. Friendships can cause many problems. As they move away from the family, friends assume more importance. These friendships can cause great upset and sadness. Young people can be extremely cruel to one another. There is quite a bit of friendship swapping in the early teen years and confusion and conflict around which group to belong to. “Best friends” and confidences are broken. 8. Try not to take on your teenager’s pain. Parents sometimes get involved in the friendship issues with disastrous effects. Teenagers need to learn to sort these problems out for themselves. Don’t run down friends, rather say you don’t feel comfortable with them – the next day the enemy could become the best friend (again). If bullying is suspected go through the correct channels at the school. You harm your child further by becoming involved personally. 9. Give age appropriate freedom within boundaries. For instance let them go out with a group of, say, four friends. Discuss up front what the contract is. For example: you go where you say you are going, the group stays together the entire time, and so on. Discuss what the consequences will be if the contract is broken. Negotiate respectfully about times, places, and so on. 10. Children are like blotting paper, so if parents want them to be polite, well mannered, honest and have personal dignity, parents need to behave like that themselves. Remember our children do what we do and not what we say! Our Life Talk book series has all kinds of advice to make the teenage years easier for parents. Have a look and feel free to reach out to us should you have any questions. Please Note: This article is based on a contribution from our newsletter archive by Liz Dooley.